My goal behind cookbook du jour is to share some special books from my culinary library. 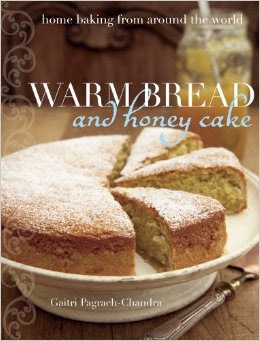 I want to introduce you today to "Warm Bread and Honey Cake" by Gaitri Pagrach-Chandra. Gaitri is well known for her first baking book, "Windmills in my Oven", which is a very good book on Dutch baking. 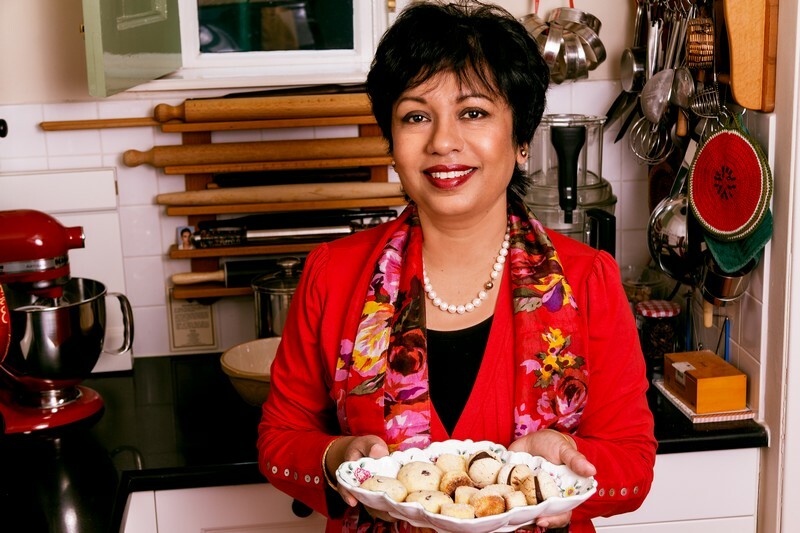 A resident of the Netherlands, she published "Warm Bread and Honey Cake" as a broader overview of home baking from around the world. I was particularly drawn to her book, as it's a basic, non fussy guide to baking from many countries. If you love to bake, it is a wonderful book and well worth a look. I'd like to call out a few really special recipes, that are my personal favorites. Layered "Drunken" Apple Cake - Kind of a German/Chilean tarte tartin. Lemon Shortbread Cookies - A lovely Dutch shortbread cookie with a fresh lemon flavor. Coconut Cake - Such a simple name for such a wonderful cake. It is insanely good when just out of the oven. Nutmeg Cake with Rum Syrup - A Dutch pound cake with a kick. So, have some fun and get baking. If nothing else, it's really informative and a light read. I might add that her two other books, "Wrapped" and "Sugar and Spice" are both excellent.